We hope you had a great Easter Weekend. The week starts out mild and will get cooler over the next few days, but spring activities continue as things green up around Wisconsin! This is a fun and transitional time to get out and explore the highways and all the great places they bring you. 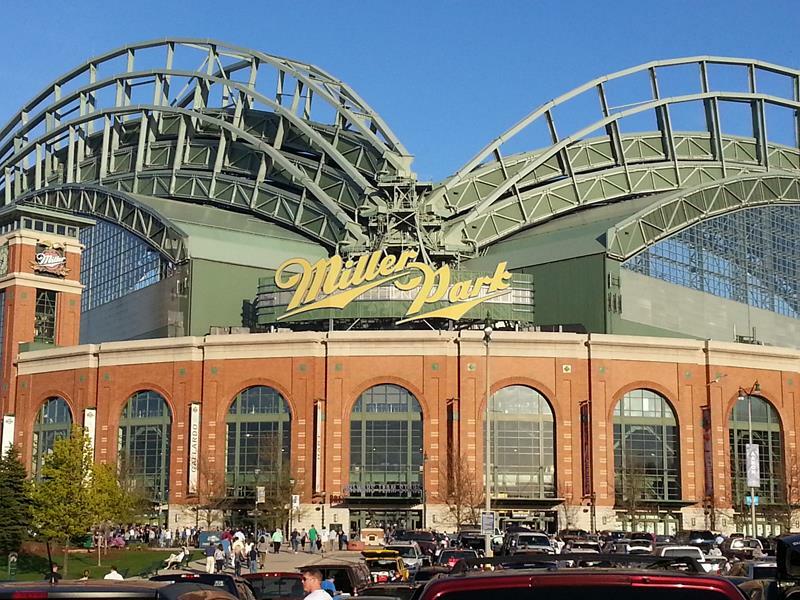 The Brewers are looking good and return to Miller Park this coming weekend, there’s minor-league ball fun in Beloit and Appleton, and the Bucks started off well in the playoffs and more games to Milwaukee starting Thursday. Also, check out spring-themed events like the International PEEPS Art Exhibition at the Racine Art Museum (Highways 11, 20, 32, 38). Just make sure you get your taxes filed by tonight! PLAY BALL! Miller Park and stadiums in Beloit and Appleton are filling up with fans as baseball serves yet another indication that spring has arrived in Wisconsin. Like we say on the State Trunk Tour, Pick Some Roads and GO!! Explore the state and enjoy fun places and cool sights, like America’s First Kindergarten in Watertown, historic Fort Winnebago and Fox-Wisconsin Waterway portage area in Portage, or take a winter tour of Milwaukee’s Miller Park or Hayward’s National Freshwater Fishing Hall of Fame. The choices are mind-boggling, and we’re chronicling ’em as fast as we can!